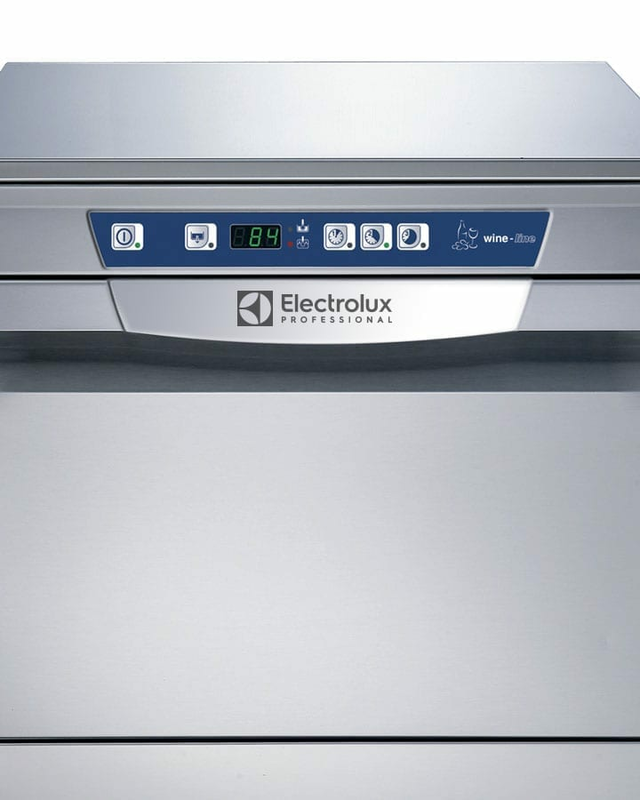 Commercial dishwashers that have earned the ENERGY STAR are on average 40 percent more energy efficient and 40 percent more water-efficient than standard models – click here to find Electrolux approved units. Unique WASH·SAFE CONTROL device for a constant nominal rinsing temperature of 180 °F. 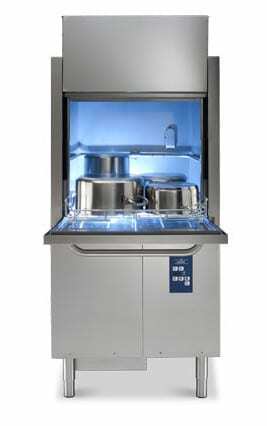 Undercounter dishwashers are the ideal solution for demanding customers requiring high performance with low running costs. 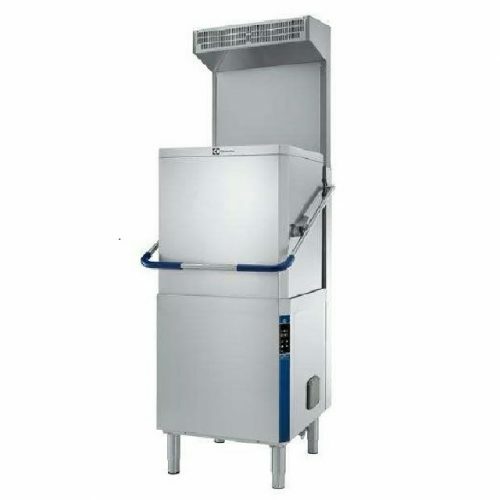 The ideal warewasher for cleaning plates, cups, utensils, glasses and cutlery. With our undercounter dishwashers you always get excellent washing and rinsing performance with total detergent removal. Electrolux Hood Type warewashers offer reduced running costs compared to current machines on the market; saving both types of green: money and the environment. The hood type warewasher – the only machine developed with a corner control panel for maximum visibility and operation. The ventless models featuring the ESD Energy Saving Device eliminates the need for an additional ventilation hood. ESD captures the excess steam thus guaranteeing a better working environment. Perfect for cleaning pots, pans, utensils, trays, gastronorm containers as well as butchery and bakery trays. Pot & Pan washers are ideal solutions for demanding customers looking for high performing machines. Flexible and ergonomic to operate, and offering the maximum in sanitation and washing results, Electrolux promises to provide a reliable warewashing operation with low running costs. Maximum capacity per hour of 80 racks or 1.440 dishes. Built-in high efficency Energy Saving Device (ESD) transfers hte heat captured inside the machine to the incoming cold water before entering the booster, thus saving energy; no ventilation hood is needed for the machine (unless local regulations or restrictions apply). Built-in high efficiency Energy Saving Device (ESD) transfers the heat captured inside the machine to the incoming cold water before entering the booster, thus saving energy; no ventilation hood is needed for the machine (depending on local regulation). The machine can be connected to cold water**. ZERO LIME Device ensures total scale removal from the hydraulic circuits and the washing chamber allowing for lower energy consumption thanks to the high-efficiency of the heating elements.